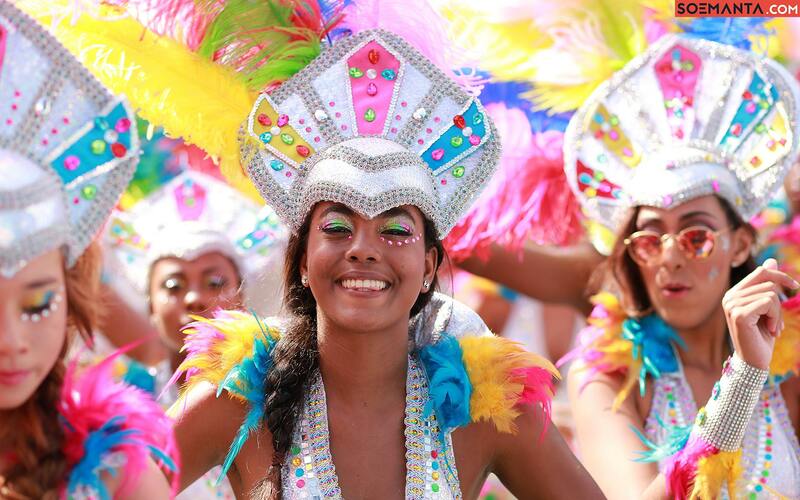 Curaçao's Carnival is one of the largest and longest-lasting Carnival spectacles of the Caribbean and one of the best times to visit the island. After the official opening day of the Carnival! Curaçao season, Carnival groups assemble and dance in the streets. They follow musical bands, wearing T-shirts so the audience can recognize the name of the group. During the following weeks, they organize Jump ups (outdoor) and Jump ins (indoor), selling T-shirts to raise money for their participation in the Gran Marcha (“The Grand Parade”). The word Tumba originates from the word "Tambú." Around the beginning of the last century, it started out as a double dance in binary measure -- an outline in which the authors put rumors to music. Currently, the Tumba Festival is a four-day musical event where the best local composers, singers, and bands compete to have their piece selected as the year's official Carnival road march Tumba song. This isn't just any festival. It's a musical extravaganza! And winning means gaining prestige sought by the world's most talented musicians. The winner becomes Rei di Tumba (King of Tumba). The Curaçao Tumba Festival is quite a party, often lasting well into the night. But there's plenty of beer, great food, and fun dancing to keep things going. Tumba Festival tickets can be purchased for the entire week. Also, a separate Children's & Teenagers Tumba Festival allows aspiring young singers to show off their talent.